Is net neutrality or viewpoint discrimination the greater threat to free speech? “Someone has to take on Goliath,” say experts at NRB panel. Activists are uniting today to “break the internet.” They’re protesting what they view as a power grab by internet service providers (ISPs). Yet at a public forum last week, experts revealed how social media platforms have censored some viewpoints for years. These violations of free speech often go unnoticed, panelists said. 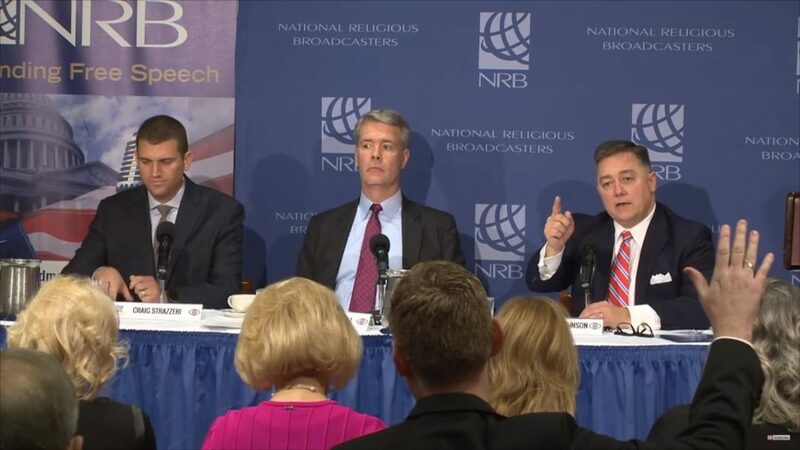 At the National Press Club, Jerry Johnson of the National Religious Broadcasters (NRB) hosted Senator Ted Cruz, former FCC commissioner Robert McDowell and Ralph Reed of Faith and Freedom Coalition. Craig Strazzeri of Prager University, a victim of internet censorship, shared the nonprofit’s story. Panelists showed how Facebook, Twitter and Google have censored viewpoints, usually conservative and Christian voices. 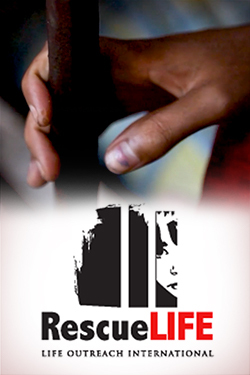 An NRB website launched last week cites several recent examples. For instance, many noted how social media titans censor pro-life viewpoints. Media have long sought to control what Live Action can say, notes founder Lila Rose. She answered questions via e-mail. She refers to two incidents. Last month, a New York Times editorial openly called on Facebook to censor Live Action’s content. “The writer opined about the desperate need for evidence-based articles and made claims that Live Action puts out misinformation, while citing absolutely no evidence to prove it,” says Rose. Rose notes the legal dispute is ongoing. “Twitter suppresses our pro-life content by unfairly applying its advertising policy,” she says. “They block our ads while allowing groups like Planned Parenthood to advertise without restriction. We will continue to expose abortion for the human rights abuse that it is.” She spoke with Tucker Carlson on Fox News regarding the incident. Another example of censorship comes via YouTube, the world’s top video platform. On October 23, video producer Prager University sued Google in a U.S. district court for unlawful discrimination. The lawsuit concerns how 40 of PragerU’s 250 short videos have been tagged for restricted mode viewing. Their legal action claims restricted mode has been used as a “political gag mechanism,” violating First Amendment rights. Strazzeri noted that one in four Americans has viewed a PragerU video. This week, the popular video producer hit one billion total video views. The panel comes at a flashpoint regarding internet freedom, centered on the issue of net neutrality. In April, the new head of the FCC announced plans to repeal net neutrality rules passed in 2015. The Obama-era rules applied Title II of the Communications Act of 1934 to internet service providers. This enabled the FCC to fine broadband providers in certain cases. For instance, in 2008, Comcast slowed traffic from BitTorrent and the FCC attempted to sanction the internet service provider. Yet Comcast prevailed because the FCC had no legal basis. The 2015 rules gave the FCC such authority. Panelists emphasized how Facebook, Twitter and Google have practiced censorship of opposing viewpoints, usually conservative and Christian voices. He cited other federal and local statutes as a bulwark to “keep the internet open and freedom-enhancing.” Others suggest innovation and falling prices will follow the repeal. Yet internet content platforms such as Facebook, Netflix and Google oppose the proposed policy change. Some have noted inconsistency in Comcast’s stance. Activists claim Pai has sided with service providers like Comcast to give them more power. After six months of filing public complaints, thousands plan to broadcast their support for net neutrality today. Their recent tactics have included personal threats against Pai and his family. Johnson also addressed a seeming contradiction. NRB represents thousands of radio stations that air only Christian viewpoints. How can they criticize platforms like Facebook for discriminating against some viewpoints? Senator Ted Cruz offered a robust defense of religious freedom. “They are speakers who are entitled to express their views,” he said of religious broadcasters. So forgive my ignorance. Are the “Christian Broadcasters” saying net neutrality helps or hurts their cause? How I see it, Christian Broadcasters have a variety of views on net neutrality. It’s a side issue to most of them. What they are concerned about is viewpoint discrimination, which is being practiced in insidious ways by various social media platforms. And those same social media companies are being lifted up as heroes of free speech in the net neutrality discussion. Bottom line: advocating for a free and open internet is a bit more complicated than we might think.